As exciting and straightforward as blogging may be, you may be surprised that there are quite a handful of things that most bloggers still do wrong. Though, the occurrence of such things can be a deliberate act or due to negligence, but if such mistakes are not prevented or corrected on time, it might affect the reliability of your blog and its positive growth. 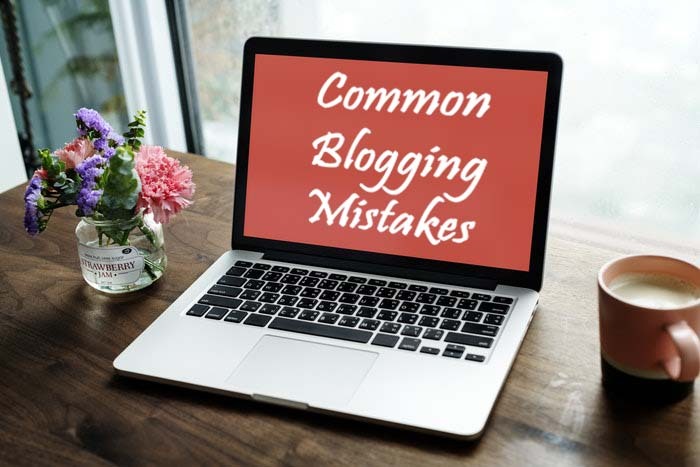 What are the common blogging mistakes to avoid? Not responding to post comments: One way to retain visitors on your blogging site is to have a comment section below each blog post. Some blog audience tends only to get a solution to their queries through the comment section. Likewise, replying comments of readers can also lead to more conversations on your page which signifies activeness of your blog. Furthermore, the availability of a comment section in every blog post help introduces new ideas from other experienced people reading the blog post. Creating a biased blog post: Creating a biased post or depicting a particular situation to be what is not will adversely affect the integrity of your blogging site. Anything you decide to write about must be as it truly appears; else, you will be misleading your audience. Depending fully on free blogging platforms: Free blogging platform undoubtedly bring about some benefits, but there is a limit to your scope of operation with them. With the free blogging platforms, you will be required to you carried out your blogging operation in line with their terms and conditions else you will be sanctioned. So, why not just strife toward having you personalized blog platform like WordPress where you can experience unlimited flexibility in your operation? Posting plagiarized content: The orientation some bloggers have is that they repost other people’s post as theirs, but this is bad blogging ethics. In time, this will only affect the reputation of your blog adversely. Though an indisputable fact is that writers tend to research other people work, but you must limit it to obtaining relevant points, then developing those points in your own unique way. Not using SEO techniques: Some would say incorporating SEO in the blog post is time-consuming or costly. But the fact is that you need Search engine optimization to experience positive growth in your blogging career. Who would see his or her blog post on the front page of Google and won’t be happy? However, there are still some SEO tools such as Yoast SEO and https://keywordtool.io/ that that offers affordable and free SEO techniques. Posting contents that are too long: Majority of internet users have a lot to do both online and offline. And this means some audience has limited time to go through content with long word count. Though such post might be informative they may be discouraged to read to the end. So, ensure to make your blog post as short and concise as possible. Not having a mentor to guide you. Using websites that are not mobile friendly and many more. As a wise blogger aspiring for greater height, you are advised to consider the above vital information to enhance your blogging progress. Though implementing some of the above might result in extra working hours and cost, but the benefits at the end will undoubtedly outweigh the stress.